We have 60+ interesting species, many of which are not readily available at other resorts. These include; Jau Catfish, Vundu Catfish, Piraiba Catfish, Goonch, Chinese Black Carp, and dozens of others. We have a special stocking program to ensure that our fishing only gets better and more interesting. Big fish; We now have 7 different Exotic species over 100 lbs which is more than ANY OTHER VENUE of this size in Thailand or even the world. 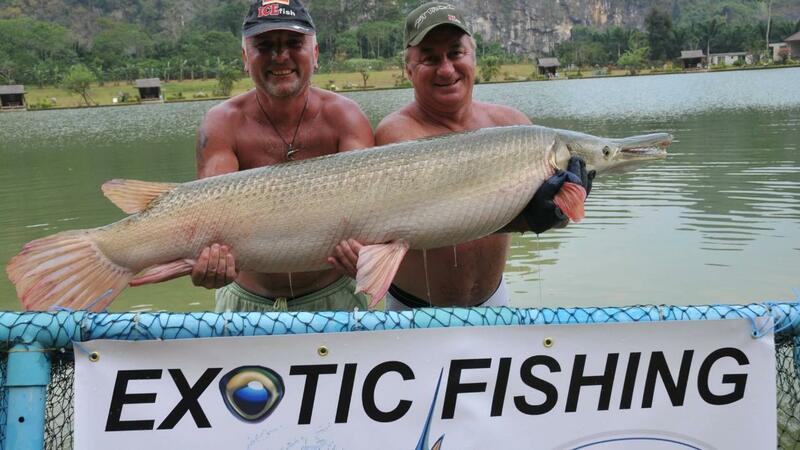 We have one of the highest stocking rates for Arapaima over 50 kg in Thailand, making Exotic Fishing Thailand your best chance for one of these amazing fish. 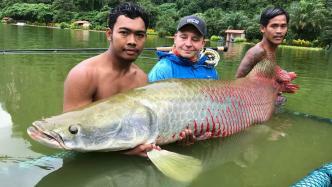 Out Monster fish include; Arapaima over 360 lbs, Wallagoo Leeri over 130 lbs, Alligator Gar over 110 lbs, and Mekong Catfish over 300 lbs. Our Chao Phraya Catfish are over 110 lbs and we now have plenty of Siamese Carp over 110 lbs with even bigger fish coming soon. You will enjoy a quiet and peaceful setting due to the fact that we only allow 12 swims to be fished on the lake at one time. Our lake is over 25 rai (nearly 10 acres) and is one of the largest fisheries in southern Thailand. We have designed generous space between our swims and positioned them so you feel like you are almost alone on the lake.